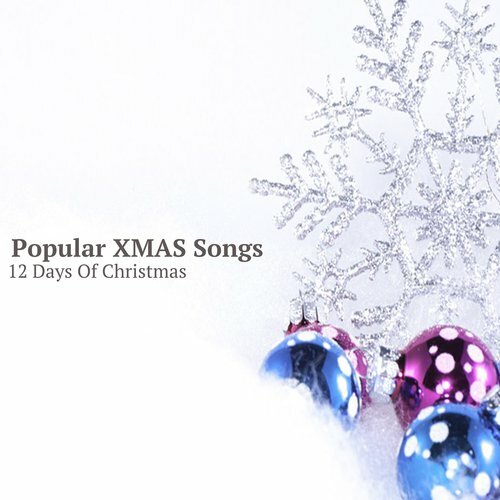 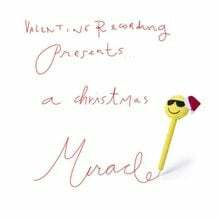 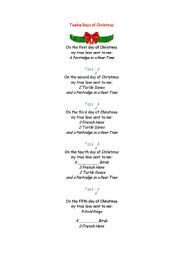 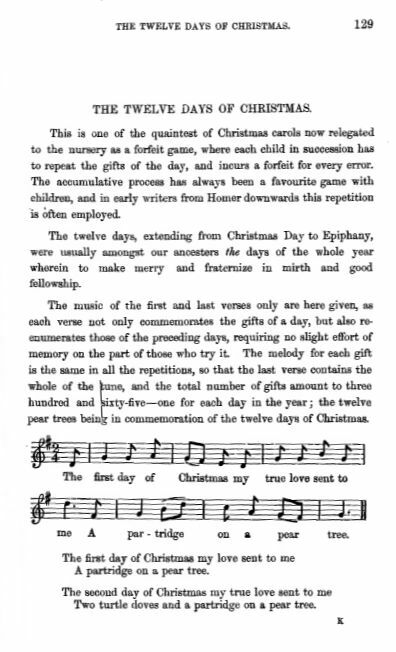 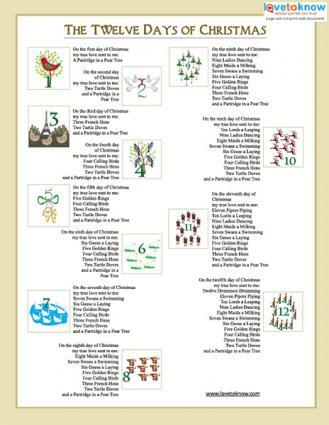 THE 12 DAYS OF CHRISTMAS" LYRICS by MITCH MILLER: On the first day... - "THE 12 DAYS OF CHRISTMAS" LYRICS by MITCH MILLER: On the first day. 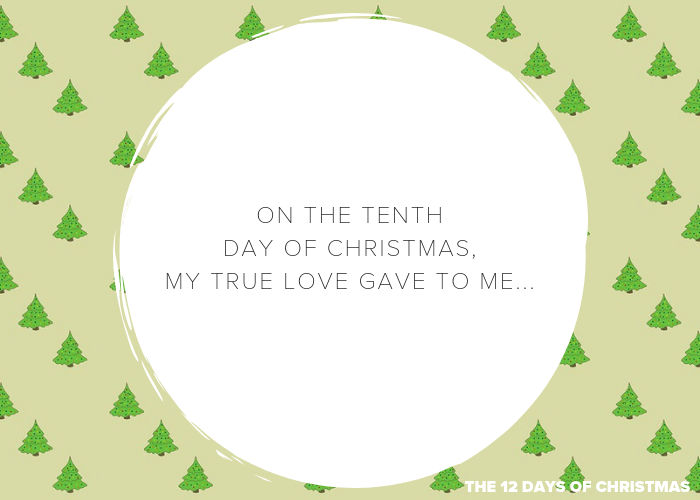 THE 12 DAYS OF XMAS" LYRICS by SIMON VIKLUND: Chains: On the first... - "THE 12 DAYS OF XMAS" LYRICS by SIMON VIKLUND: Chains: On the first. 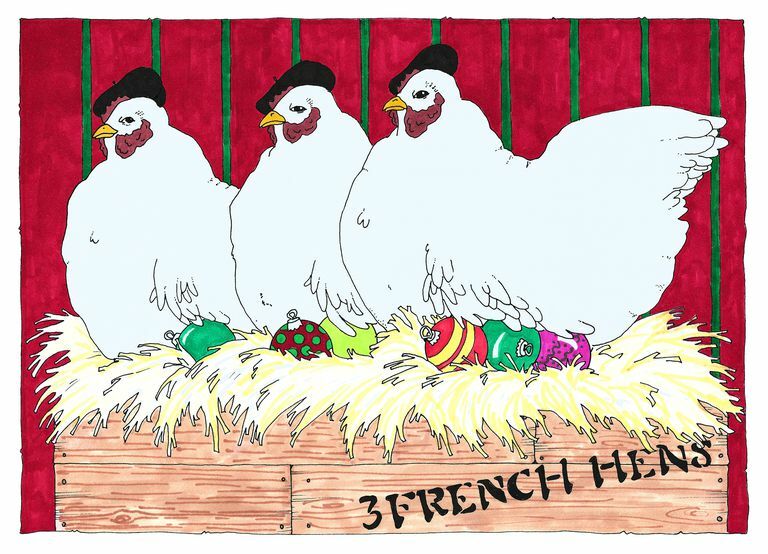 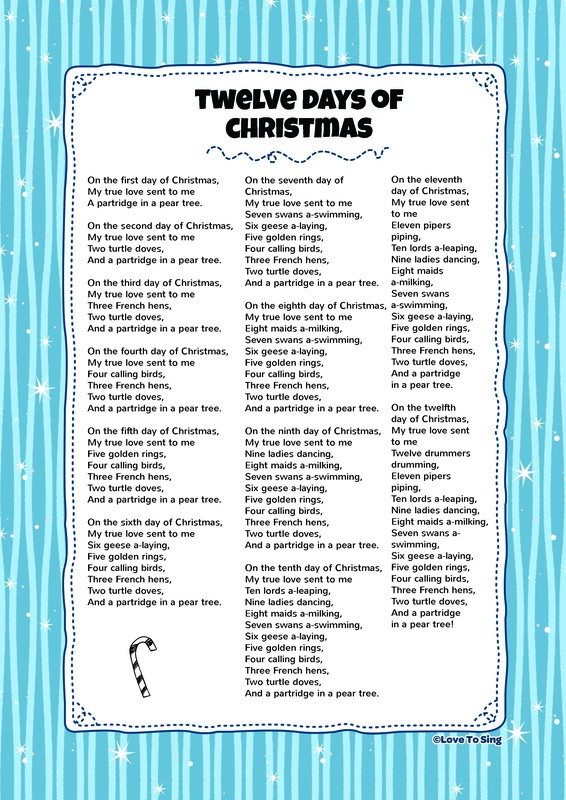 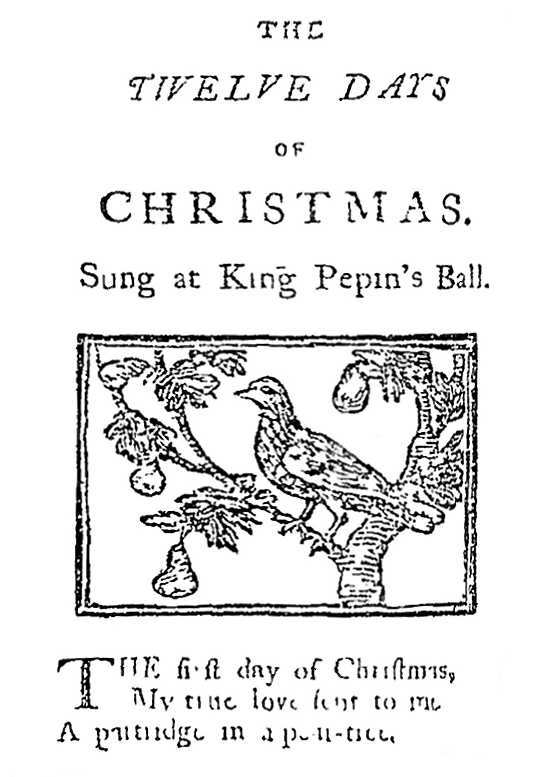 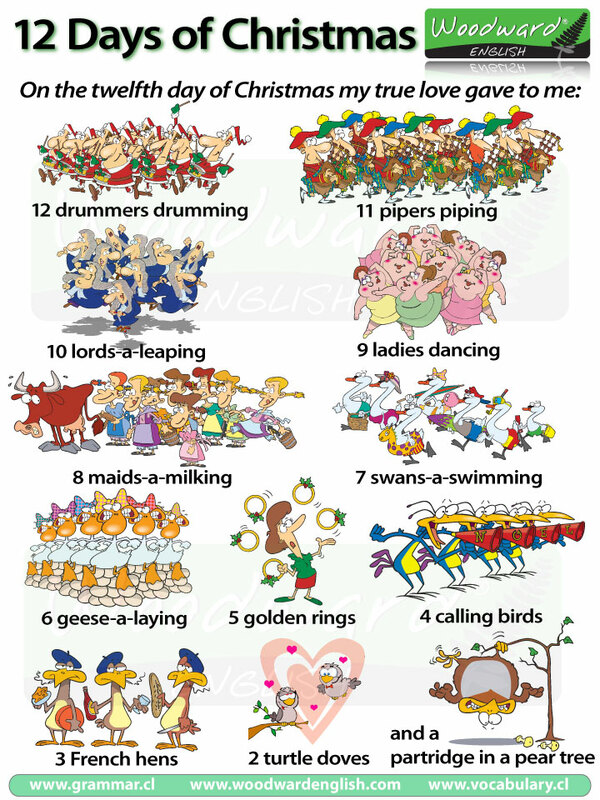 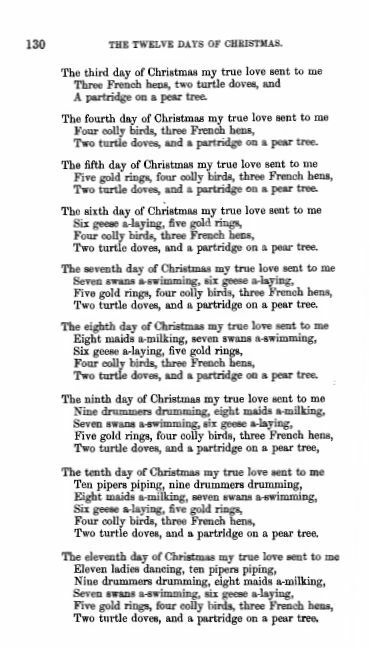 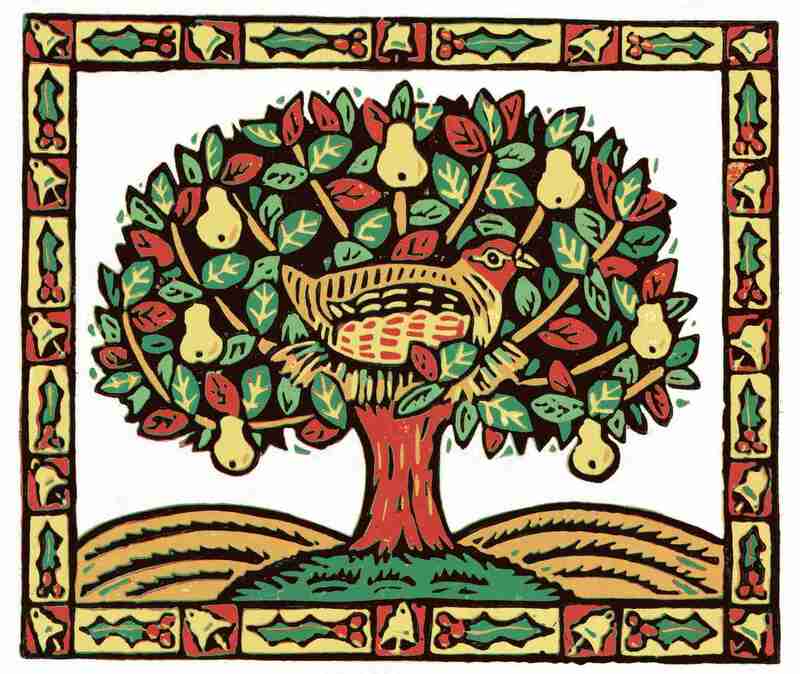 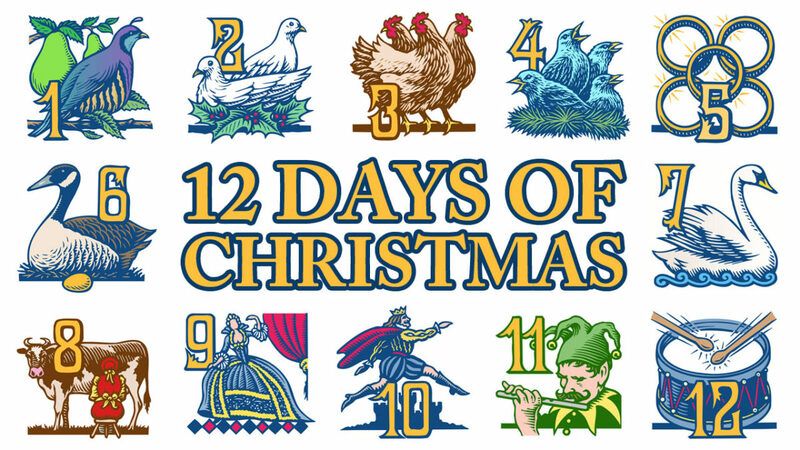 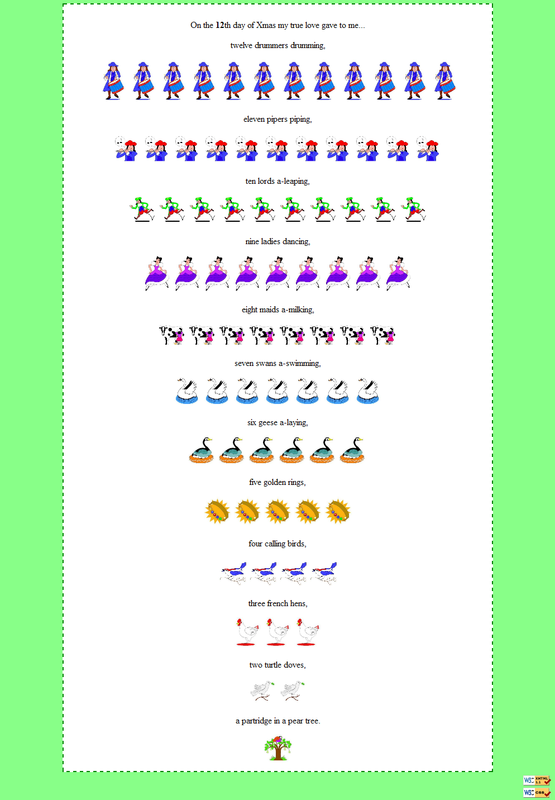 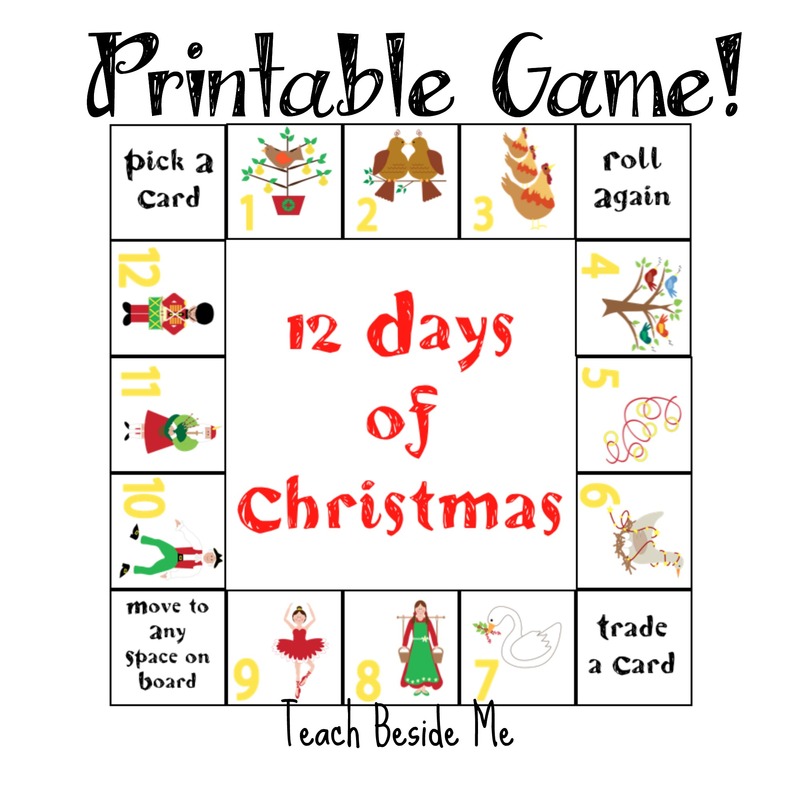 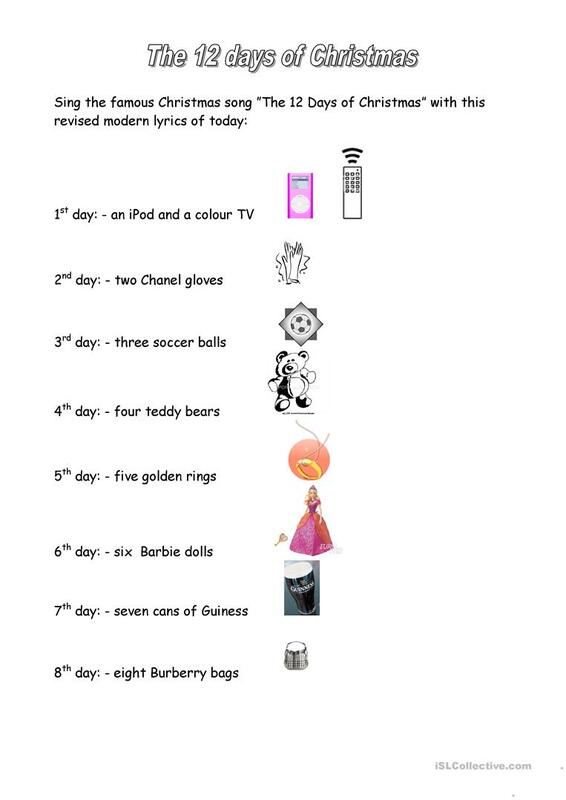 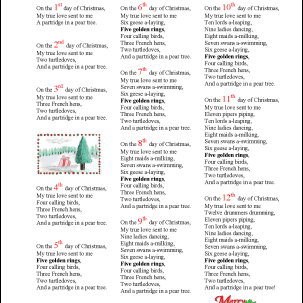 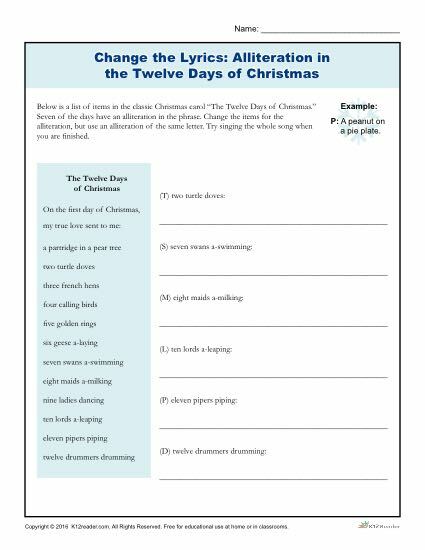 12 Days of Christmas worksheets - English Worksheet: The 12 days of Christmas. 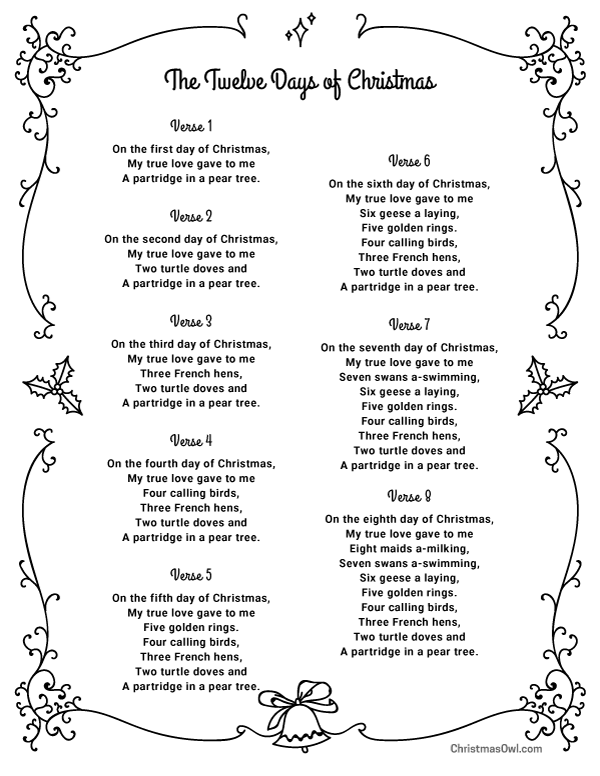 Fill in the gaps. 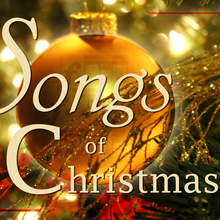 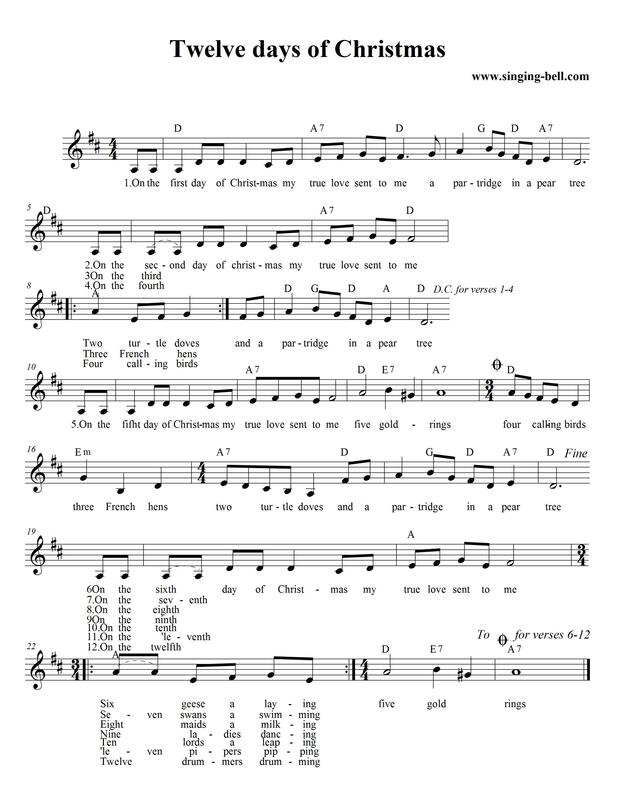 We Bet You Can't Get 100% on This Christmas Lyric Quiz — Musicnotes Now - Finish the lyric!